If you don’t already follow Babyology on Instagram, then it’s really time you did. We bring you some of the sweetest finds for little ones each and every day that leave our followers buzzing with excitement. Our top instagram post in October was this adorable playsuit from Post Bot Creations. The print and the colours are simply stunning. 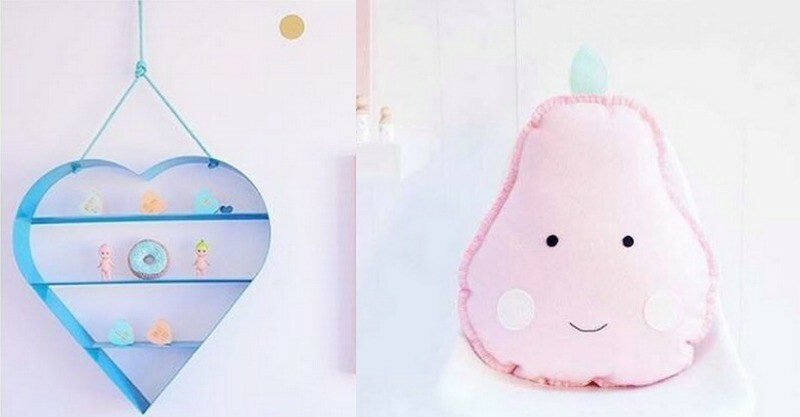 Next on the list of Insta-sweetness is this deliciously divine handmade pear cushion from Boo & Bear Baby which is sweet enough to eat and the perfect addition to any nursery. Baby shoes are pretty much the cutest things ever and these gorgeous rose gold moccasins are worthy of one of our top spots for the month. We uncovered these beauties from Little Mocc Shop. Moving into home decor, we have this heart-stopping shelf from Oliver Twist Tales. We love a good shelf and this shelfie definitely fits the mould. Kalon Studios know their nursery furniture stuff and their simple yet elegant Caravan cot collection is yet another great find. This is minimal chic at its finest. Keep following Babyology on Instagram to stay up-to-date on the funkiest finds for tots.